I winced. I’d forgotten she was a virtual prisoner in Ramallah. Like all Palestinian cities, Ramallah is surrounded by checkpoints, and Yasmine didn’t have an Israel-issued Palestinian ID that would let her pass any of them freely. To have any hope of getting through she’d have to go through an all-day ordeal to apply for a permit from Israel that would probably be denied. Even if it was granted, it could be revoked at any time for any reason. She’d once lost an entire year of college because Israel wouldn’t give her a permit to reenter the West Bank after she visited her family in Gaza. At sunset, I walked to the curving street with the steep valley view and found a low wall to sit on and watch the twilight show. After a while I looked down and noticed a family standing under the wall and looking up at me. They greeted me in Arabic. They were the first people I met in Ramallah who didn’t speak English, and when I asked the mother what her work was, I didn’t understand her answer. She pointed to her hijab and trailed her hand along it. I still didn’t understand, so she invited me down and showed me her hairdressing salon. Then she motioned for me to sit on her porch. Nearly a dozen kids crowded around excitedly. They were a good-looking family, especially the flirty four-year-old Mustafa. As I chatted with them in my halting Arabic I was embarrassed to realize that, although I knew words like national, organization, director, busy, report, meeting, and ministry, I didn’t know the words for grandmother, child, or even family. I spent several days afterward filling in those blanks. Dinner was placed on the table, and the family insisted I stay and eat with them. While we were eating the oldest son, Jamil, who seemed sharp and healthy but was small for his age of seventeen, pulled up his shirt and showed me an immense scar. It looked like someone years ago had run him partway through with a dull blade and sliced down from his heart to his waistline. I guessed it was from surgery, but he made a gesture like aiming an M16 and said, “Israeli soldiers.” He pointed to another scar on the meaty part of his calf, an entry and exit wound side by side. He held up seven fingers. “Seven bullets hit you? When?” When in English sounds like “where” in Arabic, and he pointed to his backyard. It was on a hillside, which gave it a magnificent view””and also made it an easy target. I could barely believe he was still alive. After dinner they walked me back to the road and made me promise to come back soon. When I got home, Yasmine was making coffee for a visiting friend, an older gentleman who worked in the newspaper business. Occasionally they would launch into a discussion in Arabic and I’d be left to my thoughts while we smoked a hookah on the porch. I began to wonder what percentage of the seven bullets that hit Jamil was my responsibility. I could have learned about all this much sooner. I could have protested or refused to pay taxes. Somehow, without my knowledge or consent, I’d let this happen. Yasmine asked me what I was thinking about, and I told her. She was right, of course. This conflict was a particularly intractable example of a much more fundamental disorder. Was it a problem with human nature, I wondered, or just a massive, temporary failure of imagination? Institutionalized injustices like slavery, Jim Crow, and Apartheid had once been mainstream, but the arc of history had curved away from them. And who could have guessed, when a fractured Europe was massacring itself in the depths of World War II, that two generations later there’d be a European Union? Why shouldn’t something similar be possible in the Middle East? 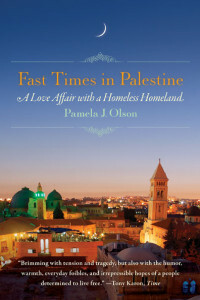 Pamela Olson lived in Ramallah for two years, during which she served as head writer and editor for the Palestine Monitor and foreign press coordinator for Dr. Mustafa Barghouthi’s 2005 presidential campaign. 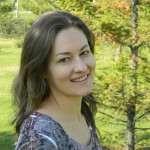 She’s published stories and articles in CounterPunch, Electronic Intifada, Mondoweiss, Israel’s Occupation Magazine, and The Stanford Magazine, and she also wrote an essay about disputed holy sites for the Encyclopedia of the Israeli-Palestinian Conflict. She lives in New York City. 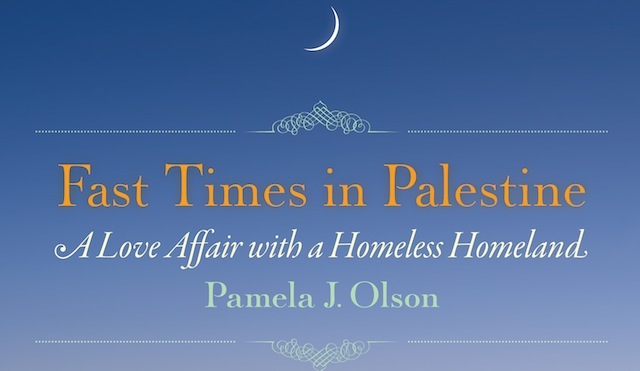 Visit her online at www.pamolson.org.